Why semi-trucks in US and Europe are so different? American and European semi-trucks are very different. You don‘t have to be a truck enthusiast or have brilliant understanding of the mechanical part of these machines to see that semi-trucks used in USA and Europe look very different. But why? Why different ideas about what the truck should look like prevailed in different places in the world? Before answering these questions we would like to ask you to like our Facebook page. A lot more content is coming very soon! The main difference you see between American and European semi-trucks is the overall design of the tractor unit. In Europe we usually see cab-over trucks. This means that the cabin is situated above the engine. This allows creating flat front surface and the entire truck with its trailer has a cuboid shape. Meanwhile trucks used in US, Australia and in many other places in the world feature something called “conventional cab” design. This means that the cabin is behind the engine. Drivers are sitting further away from the actual front of the truck and look over the long engine cover when driving. So why in different places in the world different designs prevailed? One of the differences between European and American trucking is that owners-operators are very common in US and not so much in Europe. 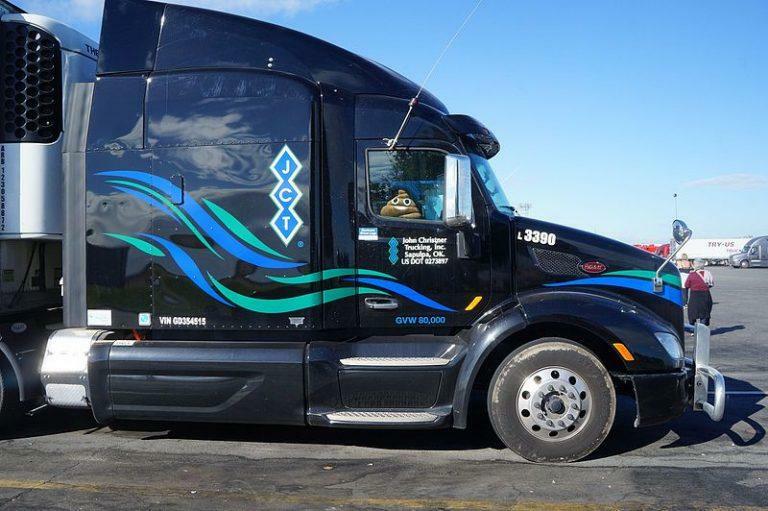 These people own their own trucks and pretty much live in them for months at a time. Semi-trucks with conventional cabs feature longer wheel base, which makes them a little more comfortable. Also, they tend to have a lot of room inside. Owners modify their trucks to include huge living compartments – something not common in Europe. Without the engine under the cabin, getting in and out of the truck is actually easier, because the cabin is a little lower. Another advantage of a conventional cab design is that the truck can be more economical. Surely they usually pull heavier loads, but if there were two trucks, one a cab-over and another one a conventional cab design, and they had the same powertrain and the same cargo, the conventional cab truck would most likely use less fuel. Of course, that is just in theory – in reality there are too many factors to consider. Finally, engine in conventional cab trucks is easier to maintain and fix because it is very easy to reach. However, cab-over trucks do have their own advantages. Square shape of the cab-over truck means that it is easier to place the truck close to other vehicles or objects. 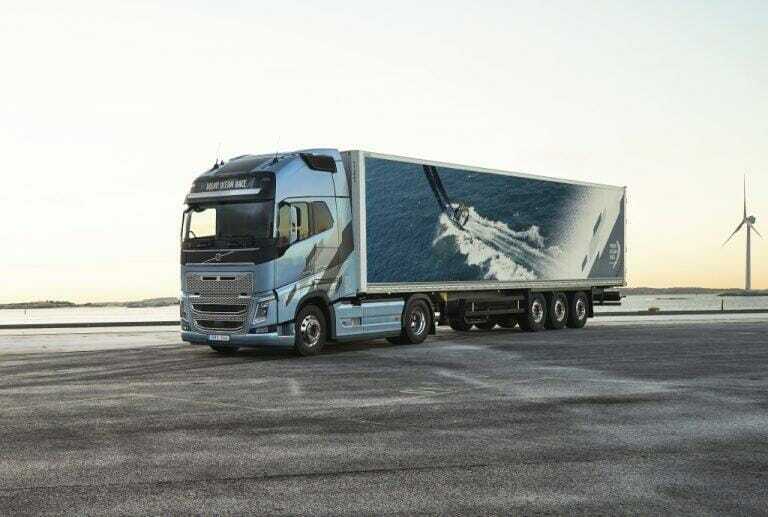 European semi-trucks are also lighter and have a shorter wheel bases, which makes them significantly easier to manoeuvre. Essentially, they are more compact and easier to work with in traffic and urban environments. But what are other reasons why different truck designs prevailed in US and Europe? Why European and American trucks are so different? Maximum length of a truck with a semi-trailer in Europe is 18.75 meters. Some countries have some exceptions, but generally that is the rule. In order to use the maximum of this length for the cargo the tractor unit has to be as short as possible. The best way to achieve that is to mount the cabin over the engine. 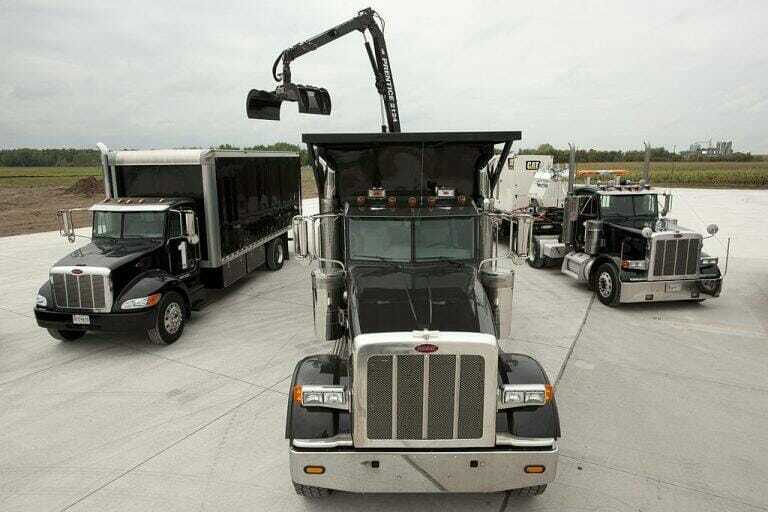 Similar requirements in US have been revoked back in 1986 and trucks now can be much longer. Actually, back in the day cab-over trucks were quite popular in US, but without strict limitations roomier and more convenient to live with conventional design trucks prevailed. The number of cab-over trucks in US is constantly declining. Another reason is speed. In Europe Semi-trucks are limited to 90 km/h, but in some places in US trucks reach 129 and even 137 km/h. That is where better aerodynamics and longer wheel base help a lot. Finally, roads in US and Europe are very different as well. Cities in US have wide streets and interstate highways are very straight and wide. In Europe trucks have to deal with narrow streets, winding country roads and cramped parking spaces. Lack of space limitations allowed Australia to use conventional cab trucks too. That is also why Australian highways feature well-known road trains – extremely long distances and straight roads allow semi-trucks to pull up to four trailers. Renault will begin selling electric trucks in 2019 – it is going to be an exciting year!